The Institute for Family Health is committed to training the next generation of allied health professionals to provide high quality, family-oriented care to people in underserved communities. The Institute operates five innovative Fellowships for primary care providers: learn more about them and read about this year’s class of Fellows, below. Interested in becoming a Fellow? Program requirements and application processes vary – use the links below to learn more. We’d love to have you join us! Addiction Medicine Fellowship: Our one-year Addiction Medicine Fellowship trains physicians to become qualified addiction medicine specialists. Our Fellows develop the knowledge and skills to provide specialized addiction medicine treatment to patients across a variety of settings in primary care. This fellowship offers continuity clinic sessions at the Institute and rotations with the New York Department of Mental Health and Hygiene (NYDOMHM), the Realization Center, and the Mount Sinai Health System. Our 2018-2019 Addiction Medicine Fellows are Juliana Bennison, MD and Marc Schlosser, MD, FACOG, ABOM. Clinical Research Fellowship in Family Medicine: Our two-year Clinical Research Fellowship trains family medicine physicians in the fundamentals of clinical and population health research, while simultaneously advancing the Institute’s mission of generating and using evidence-based practices to benefits its diverse patient population. This fellowship is a collaboration between the Institute, HealthAlliance of the Hudson Valley and the Department of Family Medicine and Community Health of the Icahn School of Medicine at Mount Sinai. Our 2018-2019 Clinical Research Fellows are Michelle Bejar, MD, MPH; Ivonne McLean, MD; Anita Ravi, MD, MPH, MSHP; and Julie Schultz, MD, MPH. Family Nurse Practitioner Fellowship: Our one-year Family Nurse Practitioner Fellowship offers training in providing outstanding primary care in medically underserved communities to newly- graduated Family Nurse Practitioners. 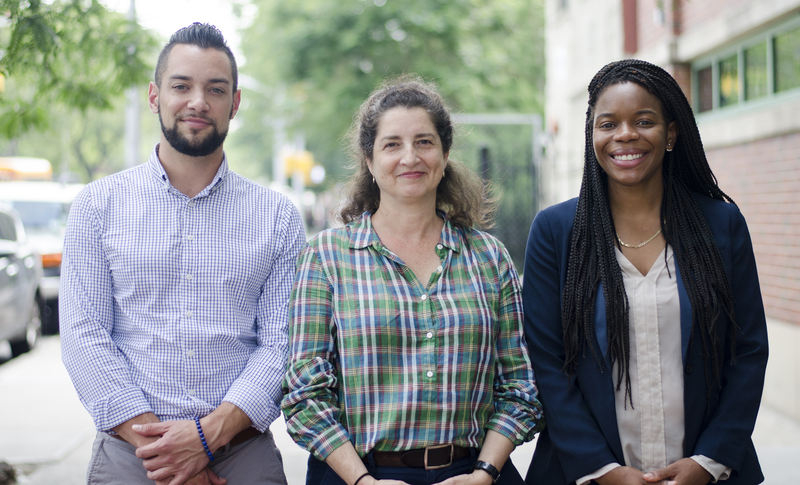 This fellowship offers both precepted and independent patient care sessions, specialty rotations and integrated didactic sessions with the Institute’s Harlem Family Medicine Residency. Our 2018-2019 Family Nurse Practitioner Fellows are Fanta Bayoh, FNP; Morgan Mako, FNP; and Amy Seplin, NP. Integrative Medicine Fellowship: Our one-year Integrative Medicine Fellowship provides family physicians Integrative Family Medicine skills in an underserved primary care setting, while also developing skills in academic medicine. This fellowship is accredited by the American Board of Physicians Specialties, allowing our graduates to sit for the American Board of Integrative medicine exam. Our 2018-2019 Integrative Medicine Fellow is Hyowoun Jyung, MD, MS. Ed. Reproductive Health Care and Advocacy Fellowship: Our one-year Reproductive Health Care and Advocacy Fellowship develops family physicians into leaders who promote and teach full-spectrum women’s reproductive health care within Family Medicine. This fellowship trains alongside the Institute’s two Family Medicine Residency programs, where fellows learn to perform and teach reproductive health procedures, provide continuity care in a primary care setting, and participate in reproductive health advocacy activities. Class of 2019 Nurse Practitioner Fellows Morgan Mako, Amy Seplin and Fanta Bayoh.